It’s been a year since Apple introduced us to iPhone X, its vision for the future of the smartphone, and a lot has changed in that time. Edge-to-edge screens with notches have become the norm. Facial recognition tech flourishes inside almost every flagship phone. Buttons are slowly but surely disappearing. And $1,000 price tags no longer seem so unbelievable. Fortunately for iPhone fans, and for Apple, the iPhone X became a massive success. It outsold the iPhone 8 and every other model in the lineup quarter after quarter. This year, Apple ditched its more traditional smartphone designs entirely for three handsets that all follow the iPhone X into the future. The most impressive are the 5.8-inch iPhone XS and the 6.5-inch iPhone XS Max. They build upon the foundations laid last year with the very best Apple has to offer in displays, chips, cameras and more. But are they worth their premium price tags? Note: For our iPhone XS review, which doubles as an iPhone XS Max review, we’ve done something different. Most members of the Cult of Mac crew picked up a new phone this year, and we all contributed bits and bobs to this review. Since the iPhone XS Max and iPhone XS internals are basically the same, we’re reviewing both devices in a single, handy place. Here’s what we think of the iPhone XS lineup. Apple did not make any dramatic changes to the iPhone’s design this year. The iPhone XS looks almost exactly like the iPhone X, and the iPhone XS Max is simply a larger version. They have the same glass back, the same stainless steel edges, and the same glorious screen. Two out of three colors are the same — space gray and silver — but the 2018 models come in an iridescent gold that looks stupendous. As with the silver and space gray models, the color of the glass back morphs subtly as you change your viewing angle. In this case, it goes from a shiny gold to a subtle ivory color. The darker stainless steel band looks brassy and bold. As with last year’s models, the 2018 iPhones are fingerprint magnets. But the bottom line is, you should probably put these pricey devices in a protective case pronto. 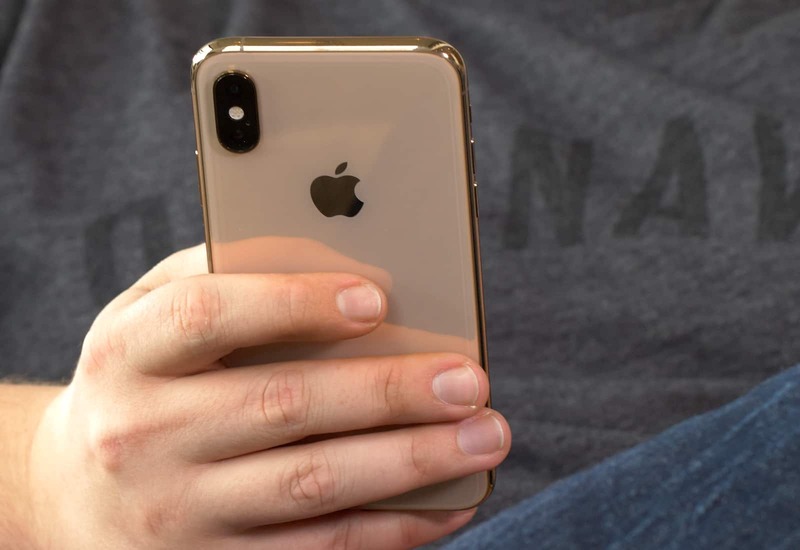 The smaller iPhone XS model has almost exactly the same dimensions as its predecessor, the iPhone X (5.7 inches tall by 2.8 inches wide by 0.3 inches thick). However, it is ever so slightly heavier at 6.24 ounces/177 grams (versus 6.14 ounces/174 grams). The iPhone XS Max measures 6.2 inches tall by 3 inches wide and the same 0.3 inches thick. It weighs in at 7.3 ounces (208 grams). Don’t let the familiar design fool you, though. Just as the bionic man’s ordinary-looking body concealed superhuman powers, the iPhone XS and XS Max pack improvements where it counts. They’re not exactly the same as last year’s models, either. There are some subtle tweaks to the new iPhones’ bodies that you may not even notice at first glance. Additional antenna bars, added to improve signal and connectivity, show up on the top and bottom edges of the new devices. They’re colored to match the stainless steel frame of the iPhone XS and XS Max so they don’t stick out like a sore thumb. However, Apple made a small but obvious alteration to accommodate one of them. On the iPhone X, both the microphone and speaker grilles on either side of the Lightning port had six holes. On the iPhone XS, one side has six holes while the other has three. The iPhone XS Max packs seven holes on one side and four on the other. This is a strange move for Apple, which is famous for its fussy attention to detail. Cupertino’s designers typically like their devices to be as symmetrical as possible. The change isn’t exactly awful, and it certainly won’t bother most users (although it might cause some iPhone X cases to not work so well on iPhone XS). Still, it makes you wonder why Apple couldn’t have placed that additional antenna band somewhere else. Also, despite having the same dimensions as the iPhone X, the camera hump on the iPhone XS is ever so slightly larger this time around. Your eyes won’t notice the difference, but you may find that tight-fitting iPhone X cases don’t quite fit the new model around the camera. One change we certainly have no gripes about is the improved dust- and water-resistance. The iPhone XS and XS Max are rated IP68 under the IEC standard, which means they can be submerged in up to 2 meters of water for up to 30 minutes. In comparison, the iPhone X and previous models are rated IP67, which covers a maximum depth of only 1 meter for 30 minutes. 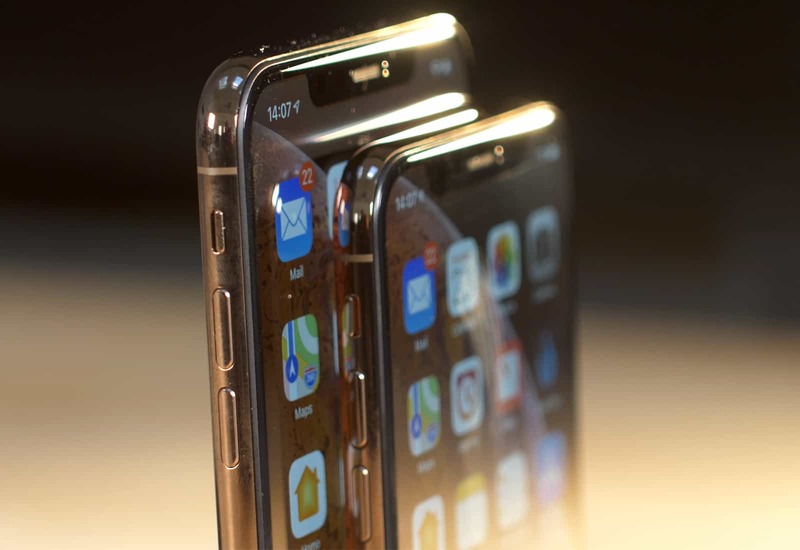 Apple also claims that the iPhone XS and XS Max pack the strongest glass ever used in a smartphone. Similar claims were made about the iPhone X last year, which used glass reinforced with steel. Fans quickly learned that although it might be stronger, it was still glass and would still break. We’ve managed to keep all our iPhone XS models in one piece so far, so for now it’s hard to say if it’s really more robust than last year’s design. But anything Apple can do to make its handsets tougher is a step in the right direction. Holding that glass together is a stainless steel frame that’s absolutely stunning. It’s highly polished and it makes the iPhone feel like a truly premium device, but you will need to protect it. We noticed during the first few days of using the iPhone X last year that its frame was easily scratched. The same holds true for the iPhone XS and XS Max. If you want it to stay pristine, you’ll need to use a case or skin. The iPhone XS Max screen delivers more of that OLED awesomeness. Let’s not beat around the bush. The Super Retina display on both iPhone XS models is simply the best iPhone display Apple ever made. It was just as good on last year’s iPhone X, though. Apple did not make any significant improvements. Not that improvements were necessary. Those Super Retina displays use OLED technology for exceptional color accuracy and true blacks, with a 1 million-to-1 contrast ratio. The HDR10-compatible screen boasts the highest pixel density of any Apple device. Perhaps most importantly for everyday use, it’s beautifully bright. That means you’ll have no problem using it outdoors on a sunny day. The XS Max’s massive screen is totally impressive. It offers more space for webpages, photos, movies and games than any iPhone before it. It comes with 3D Touch and True Tone baked-in and, yes, the “notch” is still there. But that’s not a bad thing. 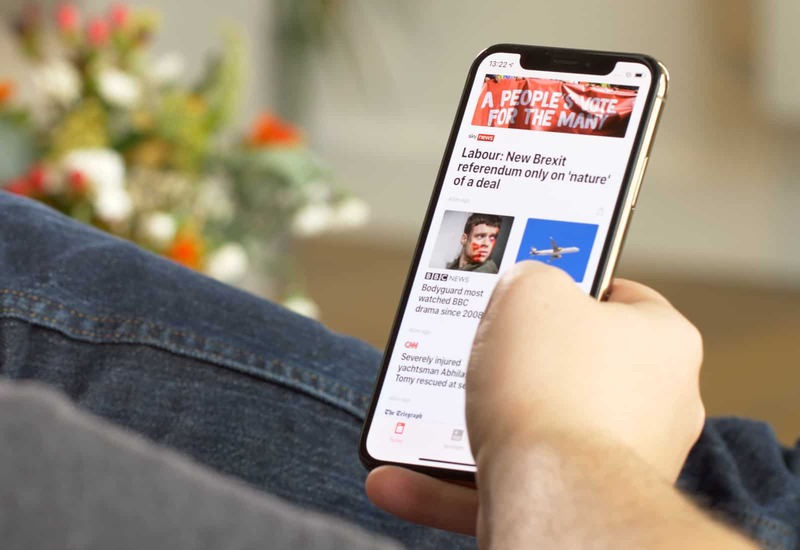 By using that notch, and eliminating bezels almost entirely, Apple made a 6.5-inch display feel compact in the XS Max. You will certainly notice the additional girth if you’re upgrading from an iPhone X or a 4.7-inch iPhone, but it’s manageable. If you’re upgrading from a 5.5-inch Plus-size iPhone, you will hardly notice it at all. I’ve been using an Phone X for the past year and I’ve grown to love that form factor. It fits comfortably in my jeans pocket, and never feels unwieldy, even in my tiny, Trumpian hands. For me, the iPhone XS Max felt uncomfortably large — just the way my iPhone 6 Plus did way back when. I eventually got used to it, thanks in large part to fantastic iPhone wallet case from Edward Field. But when I sized down for the iPhone X, I came to appreciate once again the portability that a smaller iPhone offers. I’m in the minority around here, though. For the rest of the Cult of Mac staffers who tested it, the iPhone XS Max never felt too big. In fact, that gigantic, gorgeous screen proves undeniably alluring, even to me. The raw specs don’t even truly convey how much larger the iPhone XS Max’s screen is. Consider instead that the smaller model’s display measures 12.8 square inches, while the XS Max delivers 16.1 square inches. That’s a whopping 26 percent larger. It’s a truly noticeable difference — and it’s enough to make me want to start doing finger-stretching exercises. The super-size display makes this the best iPhone ever for accessing the web, watching video or playing games. It might even replace your iPad mini. Plus, the screen comes in at 2,436 by 1,125 pixels, resulting in 458 pixels per inch. This extremely high resolution is further enhanced by that OLED display, which looks beautiful under any lighting condition, even direct sunlight. Quite incredibly, Apple squeezed a 6.5-inch screen into a device that’s only slightly bigger than an iPhone 8 Plus. Samsung’s new Galaxy Note 9, despite having a smaller 6.4-inch display, is a lot bigger than the XS Max as a result of avoiding a notch and using narrow bezels above and below the display. Obviously, you get more screen space on the XS Max. But in some cases — like on the Home screen and in Control Center — that just means everything looks bigger. You won’t necessarily see more stuff. Sadly, Apple didn’t deliver those features — at least not yet. The performance gains of iPhone XS and XS Max puts insane speed at your fingertips. 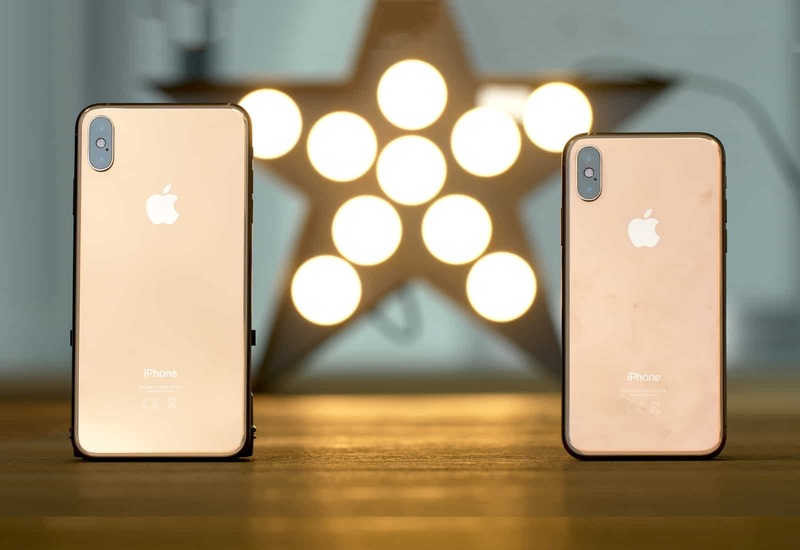 While the iPhone XS Max is noticeably large, the stealth upgrade in both of this year’s iPhones is stellar performance. The bionic man got his superhuman strength from his cyborg legs and arm, which were hidden underneath his groovy ’70s track suit. For iPhone XS and XS Max, the increased brawn comes from a bionic brain buried deep within its shiny glass-and-steel enclosure. Both iPhone XS and XS Max (and the upcoming iPhone XR) are powered by Apple’s brand new A12 Bionic chip. It’s the first mobile chip built using a cutting-edge 7-nanometer manufacturing process, and it’s significantly better in every way. Like the A11 Bionic, the chip features two performance cores for heavy tasks, and four efficiency cores for everyday tasks. Apple says it boosts processing by 15 percent and graphics by 50 percent, while slashing power consumption by up to 50 percent. Perhaps the most impressive thing about the A12 Bionic chip is its new Neural Engine, which is dedicated to machine learning for things like augmented reality and Face ID. It’s dramatically faster than last year’s A11, with the ability to process a staggering 5 trillion operations per second. In comparison, the Neural Engine in the A11 could process “only” 600 million per second. Thanks to that new Neural Engine, you may notice that Face ID facial recognition is slightly quicker. Apple says it will be. Face ID feels plenty fast already, but this is a slippery feature. Because it adapts to your face over time, it’s hard to know exactly how it will work in, say, a week or two. Over the past 11 months, my iPhone X never really unlocked that well when I grabbed it first thing in the morning. Maybe that’s because of bedhead, pillow face, the 6 a.m. darkness or my blind eyes’ total inability to focus without glasses. With the iPhone XS, I set up an alternate appearance in Face ID without my thick specs on. I hoped the iPhone XS would deliver the magic unlock instantly, but alas it did not. Maybe the Neural Engine can fix that over time. The iPhone XS and XS Max also come with 4GB of RAM — 1GB more than the iPhone X. That extra memory comes in handy when multitasking and switching between a bunch of open tabs in Safari. We ran Primate Labs’ Geekbench 4 on our test iPhone XS Max and got a multi-core score of 11,555. When we put an iPhone X running iOS 12 through the same test, it scored 10,106. In short, Apple’s newest shows a 14 percent improvement. Apple promised the processor cores in its new A12 Bionic chip would be up to 15 faster, and it delivered. We also ran Geekbench 4’s Compute test on both devices. The XS Max scored 21,895, while the iPhone X scored 15,782. That’s a 39 percent increase, which can be credited to the improved GPU in the A12 Bionic. There’s more to speed than just the CPU, though. 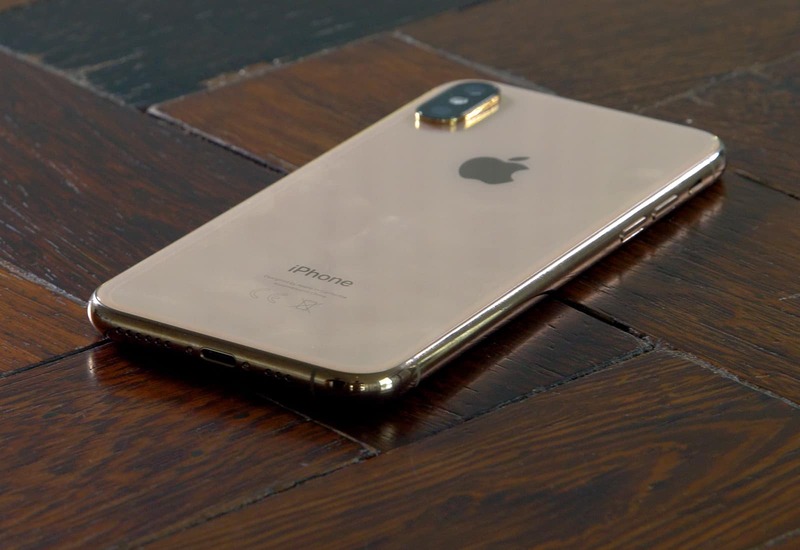 Improvement to the iPhone XS series wireless hardware also speeds up its 4G LTE networking. These handsets offer Gigabit-class LTE with 4×4 MIMO. Last year’s iPhone X had just 2×2 MIMO, meaning the latest models have twice as many antennas. SpeedSmart, maker of the Speed Test app, showed how dramatic the difference can be. It found that the iPhone XS could get a download speed as high as 73 Mbps, while the iPhone X topped out at 28 Mbps. Those tests were clearly done under excellent networking conditions, though. We tested our iPhone XS Max under poor conditions to see how it stood up to the challenge. In an area known to have poor Verizon coverage, the new model averaged 23 Mbps over multiple runs, while the iPhone X could get just 18.5 Mbps in the same location. So you can expect improvement under most conditions. Obviously, your mileage will vary according to your carrier and location. It all adds up to an iPhone that feels faster than ever. Just like the 10.5-inch iPad Pro, which blew me away with its high-octane performance, the iPhone XS Max makes every single task that much more fast and fluid. Even better, that feeling will only grow as developers roll out apps and games that take full advantage of the spanking-new A12 Bionic chip. The larger form factor of the XS Max allowed Apple to install a larger battery. A recent leak revealed that the actual capacity of the cell is 3,174 mAh. It will last around 1.5 hours longer than the iPhone X, Apple says. The iPhone XS has a 2,658 mAh battery, which is actually smaller than the iPhone X’s battery, and yet it should last around 30 minutes longer. That’s mostly thanks to the more efficient A12 chip. In our experience, Apple’s promises about battery life are accurate — as long as the device is used indoors. We did an outdoor torture test on the the iPhone XS Max. With the screen turned all the way to 100 percent and streaming video the entire time, the device lasted 8 hours and 22 minutes, which we think is the shortest time between charges anyone can expect from this model. Keep the screen at something lower and it’ll last much longer. This year’s iPhone lineup also offers slightly faster wireless charging that you can enjoy if you own a wireless charging mat that can deliver more power. It’s not a huge increase, so don’t expect anything spectacular, but any improvement to charging speeds is welcome. With the iPhone X, the Qi charger needed to be centered carefully underneath for power to flow. Some reports indicate that the new iPhone XS devices don’t need to be placed quite so carefully, but that’s not our experience. They are just as picky. The fastest way to charge the iPhone XS and XS Max is still by using a Lightning cable. Just like last year’s devices, the new iPhones offer fast-charging capabilities that will give you a 50 percent charge in around 30 minutes. This is ideal if you have to leave the house at the end of the day and you need a quick top-up. For the first time, both of Apple’s flagship handsets pack exactly the same cameras. You can think of these as the bionic man’s outrageously powerful left eye. In both models, you get a 7-megapixel camera with f/2.2 aperture on the front for selfies and FaceTime calls, and two 12-megapixel sensors with f/1.8 and f/2.4 apertures on the back for fancier photos and 4K videos. On paper, they sound just like the cameras packed into the iPhone X, but that’s not the case. These are Apple’s best iPhone cameras yet. Thanks to twice as many Focus Pixels, they deliver more detail in low light, while faster sensors allow for improved highlights and shadows. They also take advantage of the Neural Engine — for the first time — to deliver face detection, great bokeh (which you can adjust after capturing your shot), and an incredible new feature called Smart HDR. Smart HDR dramatically improves your photos by combining multiple images into one. When you tap the shutter button, the iPhone captures a series of images at different exposures. It then analyzes those images, picks out the best bits, and merges them into the “perfect photo” in a split second. Other smartphones, like Google’s Pixel 2, do something similar. However, the iPhone XS and XS Max are unique in that they don’t just capture underexposed frames, but also overexposed frames. This can provide even greater dynamic range. It might sound like a trivial improvement, but it’s not. All that awesomeness requires a lot of computing, and no other company has been able to achieve this before. Not even DSLR cameras that cost three times as much as an iPhone XS Max have a feature comparable to Smart HDR. It’s a testament to the A12 chip and its improved Neural Engine — and to Apple’s camera engineers. Photos taken with the iPhone XS camera look just like real images capture using expensive DSLR cameras. If you’re upgrading from an iPhone 7 or older, you might have been happy with your previous camera — but you’ll be shocked and amazed by the iPhone XS camera. The fancy Portrait Mode features Apple showcased during its recent iPhone event showed off the devices’ startling post-shot capabilities. You can tweak the bokeh seamlessly with a slider, adjusting the background’s fuzziness to add a 3D pop to your subject. Apple said these phones mark a “new era of photography,” and that seems legit. The combination of advanced hardware and powerful software makes these cameras unparalleled. The new camera system works well even in low light, and consistently captured images that blew us away. The iPhone XS photos look sharper and more detailed than ever, with a greater depth of color. Others who pitted the iPhone XS camera versus the iPhone X camera came away with a similar verdict, with the new camera system’s low-light capabilities emerging as a clear winner. Which new iPhone is for you? It really comes down to size. That’s no $6 million, but it’s still a wad of dough — even for Silicon Valley spendthrifts. It’s easy to squint at the familiar form factor and shrug off the iPhone XS and XS Max as unnecessary upgrades. And maybe it’s true that you don’t need to upgrade from an iPhone X. However, like the bionic man, these phones prove deceptive. Apple indeed built them better, stronger, faster and — in the case of the iPhone XS Max — bigger. You don’t need a bionic eye to see that this is the phone of the future — at least until 2019. Killian Bell, Charlie Sorrel, Ed Hardy and Leander Kahney contributed to this review.